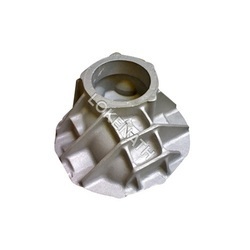 Leading Manufacturer of aluminum gravity die castings, leak proof gravity die castings, industrial gravity die castings and aluminum gravity die casting from Faridabad. Our organization offers a wide range of Aluminium Gravity Die Castings, which is fabricated in compliance with the international quality standards. We make use of state-of-the-art CNC machining to provide excellent and smooth finishing to the end products. These are available in different dimensions, weight and designs as per the client’s specific requirements. 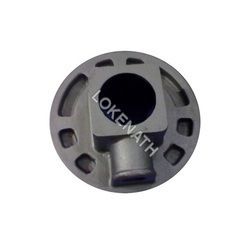 The comprehensive range of Leak Proof Gravity Die Castings offered by us is strong, durable and dimensionally precise having a long service life. These castings match with the highest levels of mechanical properties, which is suitable to be used in power electronics industry and for very high voltage applications. 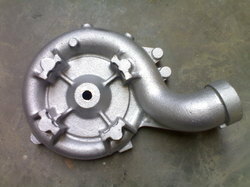 We offer these castings as per the detailed specifications given by our clients. 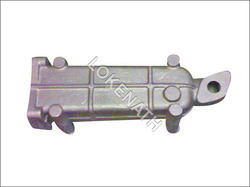 We manufacture and export an extensive range of Industrial Gravity Die Castings, which caters to the requirements of railways, automobiles and plastic toys industries. These are fabricated from high grade raw material using advance machines to deliver defect free range. Thus, our range is renowned for their quality features like durability, dimensional accuracy and corrosion resistant features. With our domain expertise in the respective field, we are involved in offering a quality range of Aluminium Gravity Die Casting. These are manufactured in tandem with the set industry standards to ensure optimum quality in the end product. Further, the moulds, called dies are designed to produce complex and different shapes with a high degree of accuracy. Looking for Gravity Die Castings ?